A bus carrying a group of Canadian junior hockey players collided on Friday with a semi-trailer on a rural highway in Saskatchewan, killing 14 people, Canadian media reported citing police. Fourteen more were injured – including three critically – in the accident involving the Humboldt Broncos team bus, which was heading north for a Saskatchewan Junior Hockey League playoff game against the Nipawin Hawks, the Saskatoon StarPhoenix reported. Royal Canadian Mounted Police inspector Ted Monroe had said at a news conference late Friday that there were “fatalities among the passengers on the bus” and “a number of serious injuries”. “It is a significant accident, we had a tractor trailer and a bus collide,” Monroe told reporters, declining to go into further detail about the victims. Police said the crash took place about 28 kilometers (18 miles) north of Tisdale, Saskatchewan as the bus was travelling on highway 35. The Broncos team is comprised of 24 players, all from Canada, with the youngest aged 16 and the oldest 21. Canadian Prime Minister Justin Trudeau expressed his sadness at the tragic incident involving such young athletes. “I cannot imagine what these parents are going through, and my heart goes out to everyone affected by this terrible tragedy, in the Humboldt community and beyond,” Trudeau wrote on Twitter. The Saskatchewan league is a feeder system for higher levels of hockey with many graduating to play at US and Canadian colleges and major junior league level, while some go on to the National Hockey League. Former NHL players like defenseman Chris Chelios, goaltender Ron Hextall, forward Rod Brind’Amour and hall of fame goaltender Glenn Hall all played in the SJHL. Friday’s fatal smash brought back memories of a single vehicle bus crash in December 1986, also in Saskatchewan, that killed four members of the Western Hockey League Swift Current Broncos. 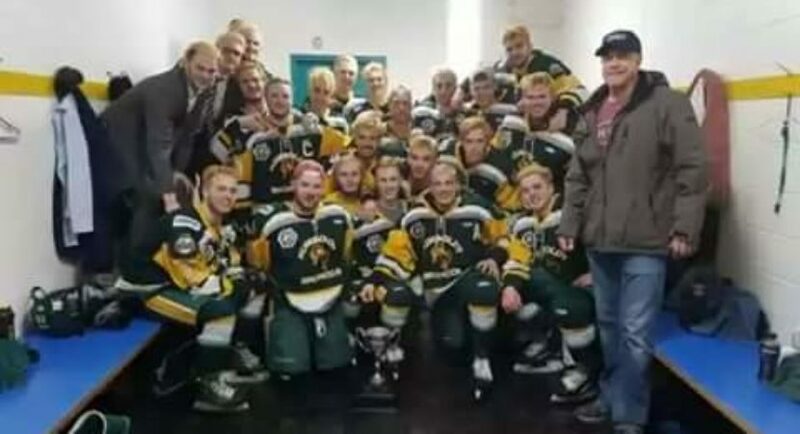 The Swift Current Broncos expressed their condolences. Former NHL player Sheldon Kennedy, who survived when the Swift Current bus skidded off the highway in snowy conditions, also sent a message of support. “Sending all my thoughts and prayers to those impacted with the @HumboltBroncos bus crash,” Kennedy said.